﻿ Kar Kraft Systems, LLC. Since 1955, Kar Kraft Systems, LLC. has been New England's premier manufacturer and distributor of premium automotive reconditioning, detailing and car wash products. Our dedication to quality translates into affordable cleaning systems for every buyer. Whether you're looking to put the sparkle on the shine to the car on your driveway or take cars from the garage to the salesfloor, we've got just the product for your specific needs. 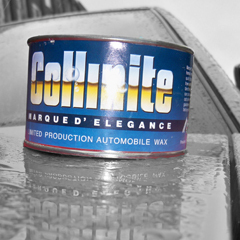 Now Offering Collinite Wax Products! Kar Kraft Systems is now offering Collinite Marque D'Elegance, Insulator Wax and Super DoubleCoat. Click here to check out new offerings in our Polishes and Waxes section!